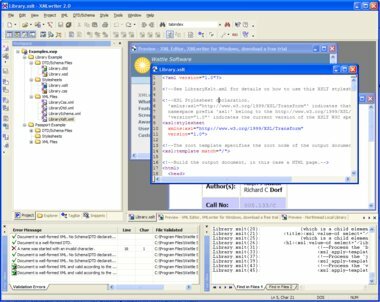 XMLwriter is a powerful XML editor for Windows designed to help web editors and programmers take advantage of the latest XML and XML-related technologies such as XSLT and XSD Schema. 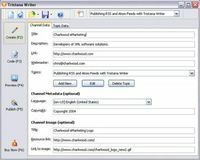 XMLwriter provides users with an extensive range of XML functionality such as: validation of XML documents against a DTD or XSD Schema and conversion of DTDs to the newer XSD Schema format or vice versa. XMLwriter can convert XML to HTML using XSLT stylesheets or users can combine CSS with XML for direct formatting of XML data. 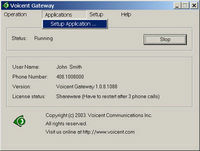 Further increasing XMLwriter's flexibility are User Tools that can be configured to run external applications (such as third-party XML parsers) from within the program. Especially designed to manage projects, XMLwriter's Integrated Development Environment (IDE) provides useful project management features such as a structured Project View workspace, and batch processing of files. Intelligent entry helpers guide you as you create documents and customizable code snippets are available for often used text. 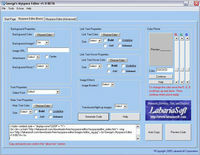 Naturally the user interface is fully customizable to fit the way you like to work, and comprehensive on-line help including an XML syntax guide are included.